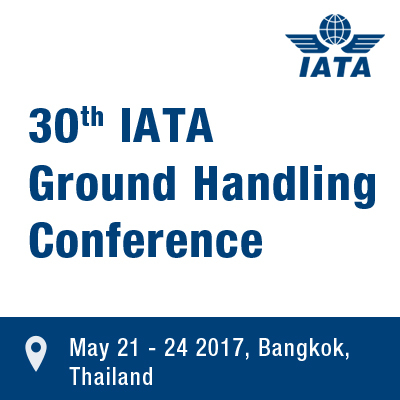 GrayMatter is attending the 30th IATA Ground Handling Conference, the premier annual event for ground handling professionals (IGHC) 2017 which will be conducted from 21 – 24 May 2017 in Bangkok, Thailand. IATA Ground Handling Conference is a unique opportunity to hear from leading industry experts about the most current and relevant topics related to the standards, policies and procedures that continue to shape the future of global ground handling activities. Each year, IGHC attendees represent an equal mix of senior and middle level management. This exceptional event will include subject matter experts, CEOs and other key leaders from both the Operational and Commercial sides of the industry. Meet Mr. Vikas Gupta (CEO, GrayMatter and ACI Asia-Pacific Regional Board Director (WBP) and know more about the GrayMatter’s Airport Analytics (AA+) Ground Handling Analytics module which is a pre-built enterprise wide analytics solution for Airport Ground Handling. The essence of GrayMatter’s AA+ Ground Handling Analytics solution is driven by the key customer priorities of productivity, profitability and quality. We would be happy to discuss and demonstrate key business scenarios to depict the relevance and significance of the solution.